Details of offices which are closed or have reduced opening hours. 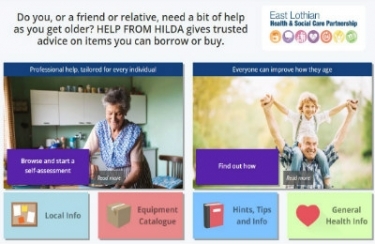 HILDA provides its users with information they can trust on equipment that they can buy or borrow to help them maintain and improve mobility. East Lothian Council, John Muir House, Brewery Park, Haddington, East Lothian EH41 3HA. All content © 2019 East Lothian Council. All Rights Reserved.